FMSC combines a meaningful career with global impact. We’re a place that feels like family, a term commonly used by many of our amazing staff. We think working here is pretty awesome, so we created a list to help you discover why you should work at FMSC, too! One of the top reasons our employees love working at FMSC is our “meaningful mission.” Your job—whether you’re working at meal-packing events across the country or typing away at your desk in the office—will have a mission: to eliminate starvation around the world and feed God’s starving children hungry in body and spirit. With God’s help and your unique talents, we believe this will be accomplished. We strive to follow God’s calling every day in all that we do. We pray together each morning as a team and during staff meetings throughout the day. Every child matters. We know that when one child’s life is saved, this is an incredible victory. 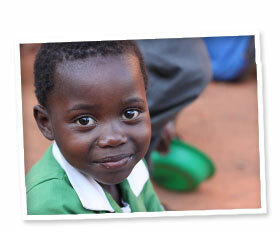 We are focused on saving one child’s life at a time—this is an extremely important step toward making a global impact. No matter what your role looks like here at FMSC, every day you get to be a part of saving lives and see the tangible life-change that happens when a malnourished child eats FMSC meals. FMSC’s staff is exceptional. You’ll work alongside an incredible group of dedicated, gifted and kind-hearted, generous people. Discover what it’s like to do something you love for a cause you’re passionate about with people who are like-minded. 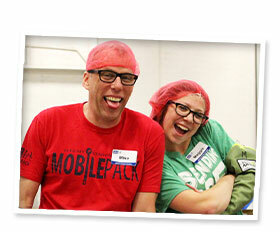 FMSC is a dynamic, rapidly-growing organization, which makes it an exciting place to work. Enjoy a vibrant workplace that will encourage you to put forth your best effort every day. Our managers are dedicated to guiding and supporting their teams through growth and challenge—they care about their staff members. They will ask, “How are YOU doing?” and really mean it. Work here at FMSC and you’ll be inspired by passionate volunteers, incredible donors and remarkable international partners. Depending on your job, you may travel internationally to see FMSC meals being served. 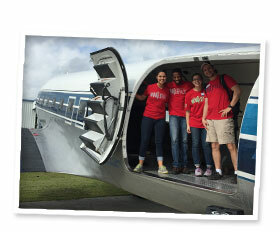 Some of us travel to MobilePack events across the United States. Some of us lead volunteers in meal-packing sessions. Some of us work with international artisans to sustain small businesses abroad. Some of us rally passionate donors and sponsors. Whatever your job, inspiration about our greater mission coming to life happens even amidst working through the daily to-do list. 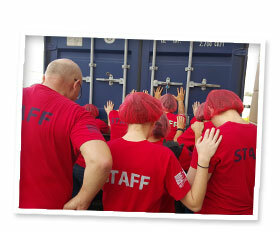 FMSC employees are encouraged and supported to maintain a healthy work/life balance. We offer competitive benefits (see the part-time or full-time Benefits Guide), such as 401k, health, dental reimbursement and much more. FMSC’s high level of integrity and ethical decision making always revolves around the question, “Will this feed more kids?” All of our decisions are made knowing that 22 cents is the cost of one nutritious meal. We’re committed to steward our resources wisely to make a difference in the world. FMSC consistently receives the highest awards for accountability and transparency from Charity Navigator, which places us in the top one percent of more than 8,000 nationally rated charities for integrity and trustworthiness. Our Executive team and board members strive to make every penny and every meal count and seek the Lord in every decision they make. While we’re headquartered in Minnesota, we also have staff in Arizona, Georgia, Illinois, Pennsylvania and Texas. Whether we’re on the road or at the office, we’re a family. 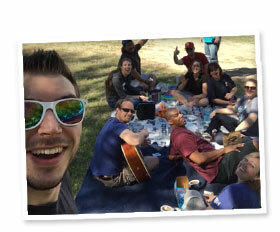 We love to spend time together—this very typically includes staff picnics, birthday treats and forming friendships at work. Depending on your job, dress code is business casual in the office and casual (t-shirts and hairnets) at meal-packing locations! Use the hashtag #FMSClife to see what we've been up to lately! 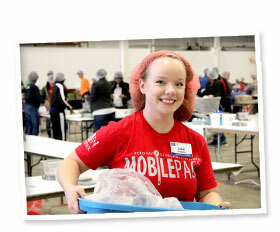 Feed My Starving Children has been named a top workplace four years in a row!